This ASL Adventures homeschool sign language course targets a beginning vocabulary of approximately 350 basic signs, the manual alphabet, grammar, and a basic understanding of the Deaf Community and culture. As homeschool students discover and learn about the Deaf culture, it can help them use ASL appropriately and accurately. ASL Adventures students learn the manual alphabet, greetings, introductions, numbers, time, holidays, and more as they progress through the course. The lessons should be completed consecutively as they build on one another throughout the course. Go to Class Lessons and download the lesson plan and the files for the first lesson. Start with the Day 1 reading assignment. Follow the instructions each day on the lesson plan and check them off when completed. Fifteen video-based lessons and printable resources provide an introductory sign language course for homeschool families. ASL Adventures is a four-month introductory sign language course that teaches early skills in American Sign Language, the third-most-used language in the United States. ASL is a unique language, distinct from English, in that it is a visual language with its own syntax, grammar, and structure. It is not English on the hands. It has been proven to be a dynamic language that changes over time. It is similar to Signed Languages in other countries in its principles, but unique in its signs. 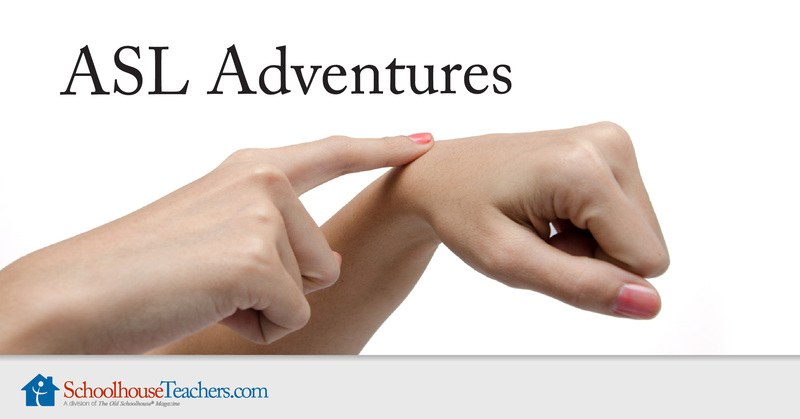 ASL Adventures homeschool sign language course students learn basic ASL grammar and syntax rules, a vocabulary of approximately 350 signs, the manual alphabet or fingerspelling, numbers, and a basic understanding of the Deaf Community and culture. It is important in learning any language to understand the people group from which it originates. ASL is no different. In order to use it appropriately and accurately, an understanding of the culture is essential. The values, perspectives, and collective nature of the Deaf Community make it a unique and intriguing culture to study and understand. Why learn ASL? It is the third-most-used language in the United States and accepted as foreign language credit in high schools, colleges, and universities. Research shows that babies who learn ASL along with English test in the 99th percentile in IQ testing. The language enhances cognitive processes. Sign Language interpreting is a fascinating, rewarding career and increasingly in demand since the passage of the ADA Act in 1973, which requires public and private entities to provide for the communication needs of Deaf individuals in schools, colleges, business, medical facilities, and more. Besides, it’s beautiful and fun! 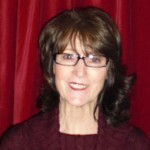 Thanks for joining Sandra Heflin in the ASL Adventures homeschool sign language course! Would you like to tell others about this ASL Adventures homeschool sign language course?